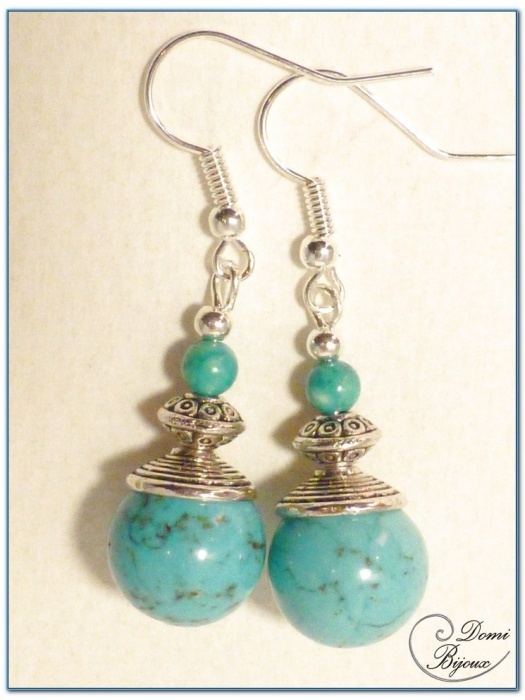 This fashion earrings silver finish are made from two 12 mm diameter howlite turquoise pearls and two small turquoise pearls of 4 mm diameter. 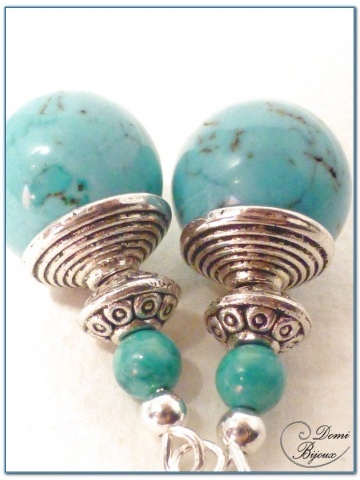 This pearls are mounted with silver finish métal pearls. Two silver finish hooks complete this assembly. 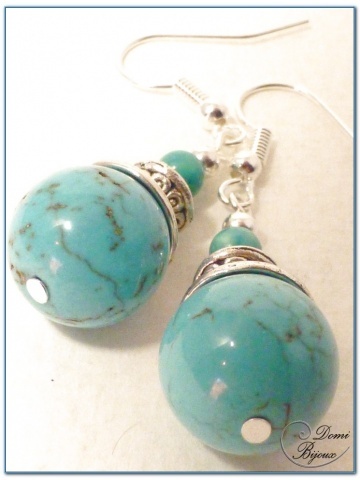 You will receive this fashion earrings in a cloth pouch to store them carefully when you don't wear.